For our sixth season, st. peter's school teamed up with nebinger elementary to create a colloborative experience. we visited FRENCH FOCUSED, bISTROT lE miNETTE, AND WERE GUESTS UNDER chef peter woolsey. our lunch was small and intimate and for many, their first time in a fancy restaurant. my kids embraced the opportunity and will have memories of this OCCASION for a lifetime. I began by teaching my students about the art of the still life, starting at the Philadelphia Museum of Art with a private tour of food-themed still life masterpieces in their collection led by Curator of Education for School and Teacher Programs, Barbara Bassett. St. Peter's School and Nebinger Elementary School students were pros in the museum. They answered everyone of Barbara Bassett's questions with ease, yet felt uncomfortable with one another. Schools often do not interact with one another, causing a bit of anxiety when forced interaction is involved. 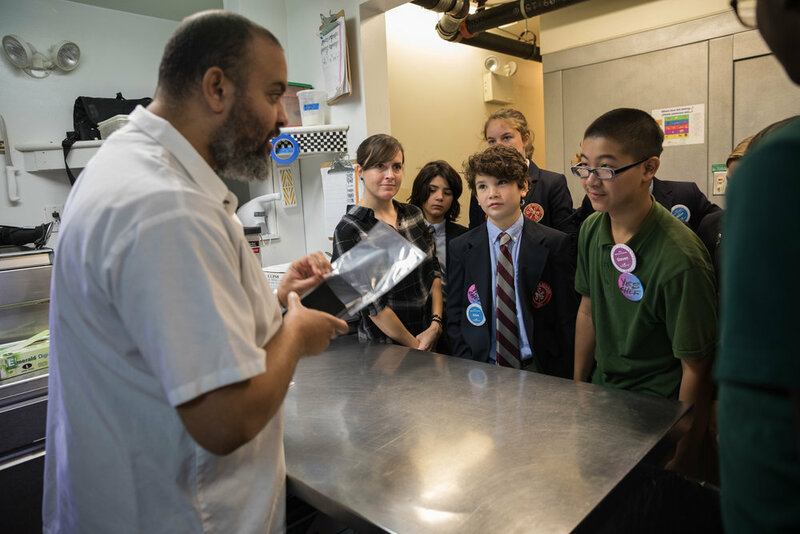 At Bistrot La Minette, students researched, met and interviewed the chef and discussed the design and branding of his restaurant. 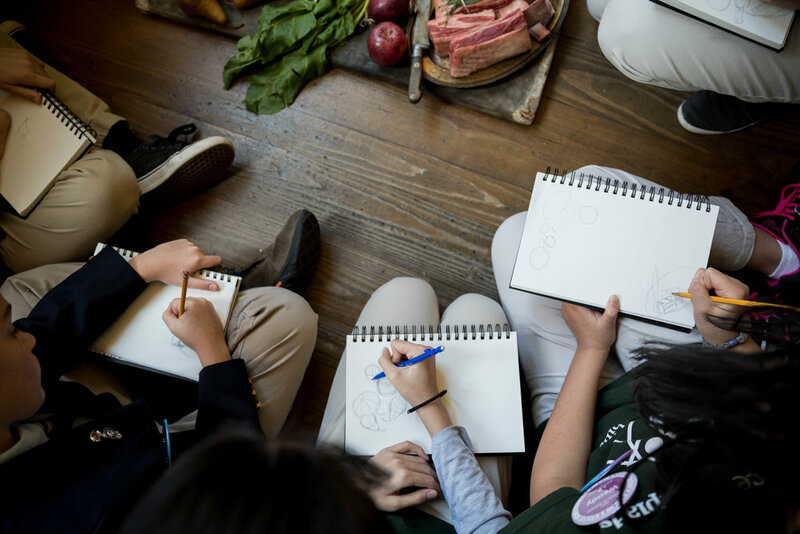 The students, as guests of the chef, were served the chef’s signature dish for lunch, then sketched a tableau of the meal in preparation for their final artwork project. The tableaux were styled by acclaimed professional food photographer, Jason Varney. For six years, I have seen students gravitate towards this project with curiosity. Many of my students have experienced going to fine dining restaurants, but never interacted with students other than those at St. Peter's. I think it was eye opening for them because they legitimately have a lot more because of going to private school. To see all of their supplies in comparison to Nebinger helped them realize they should focus on what they do have, not what they want. In May 2018, the four selected artists, joined by Peter Woolsey and Kenny Bush, were honored by a special cooking lesson and dinner party given by Eric Leveillee of Marigold Kitchen, hosted by COOK, a state-of-the-art kitchen classroom.